On behalf of the Webster Wellness Committee, we are pleased to announce that we received 66 donations from members of the Webster University community to make up a grand total of $495 raised for the American Heart Association Go Red for Women. Thank you for your generosity! 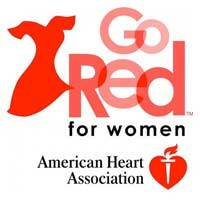 All donations support the American Heart Association in their efforts to help women by offering educational programs, advancing women’s understanding about their risk for heart disease and providing tools and motivation to help women reduce their risk to protect their health. Emily Scharf, head of Reference Services Library, $20 Gift card from Macy's and a Webster Wellness infuser bottle.